Oh hey, October. We meet again! So I ended up getting this NYC sweater from the Elie Tahari collection at Kohls. I definitely need to start stocking up on sweaters again so this one was great to start off with. 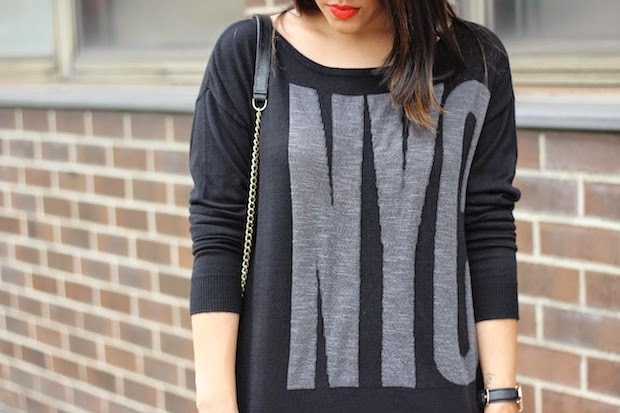 I love the oversized fit and the fact that it’s long enough to wear over leggings on my lazy days. 🙂 But of course, I especially love this one in particular because it represents one of my favorite places. There’s tons of ways to style this piece, but I decided to be a rebel and wear it with white pants. 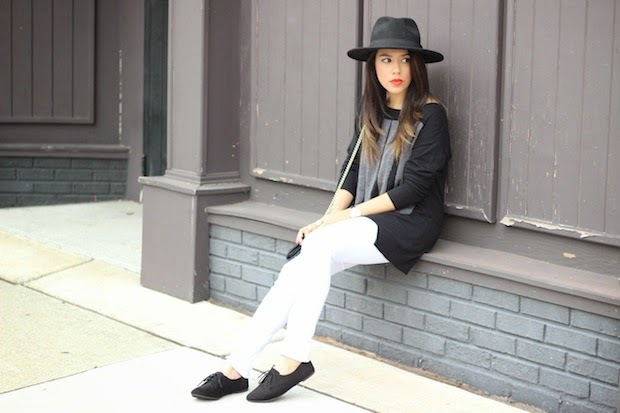 It was time to ditch the heels too, so I kept the whole look casual with my oxfords (obsessed) and my favorite hat. An outfit like this is perfect for those off duty days. Super comfy and easy to wear. 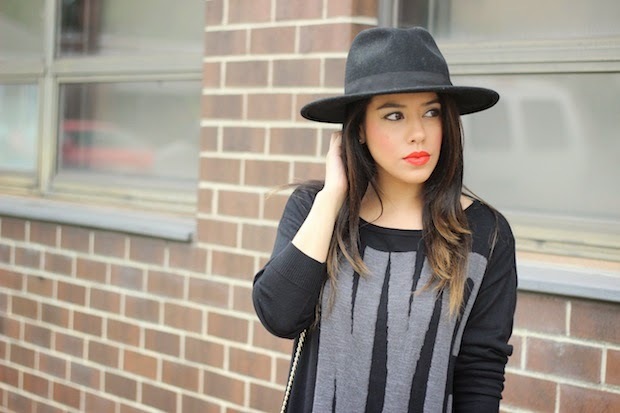 I absolutely love that hat and that lip color on you! You are gorg! On Clothing9 find the very latest range of mans and women's right here. Our collection carries directional designs, as well as every day favorites including; shirts saree, t-shirts, jeans, jackets and more.